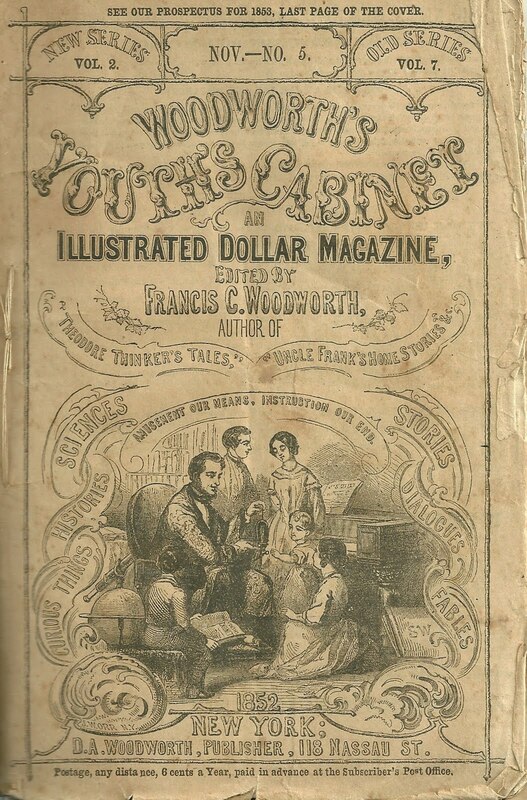 Fun little filler in the November 1852 Woodworth's Youth's Cabinet, an Illustrated Dollar Magazine, edited by Francis C. Woodworth, Author of Theodore Tinker's Tales, Uncle Frank's Home Stories. 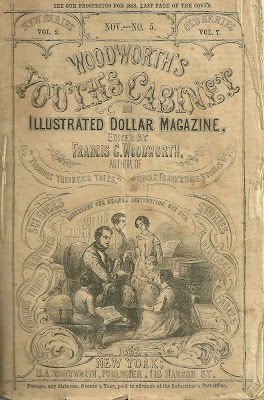 Published in New York by D. A. Woodworth. 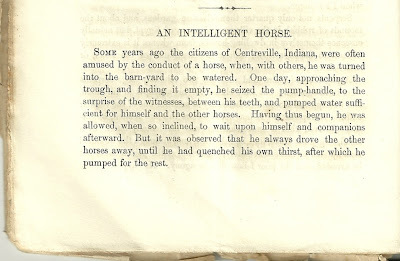 Some years ago the citizens of Centreville, Indiana, were often amused by the conduct of a horse, when, with others, he was turned into the barn-yard to be watered. 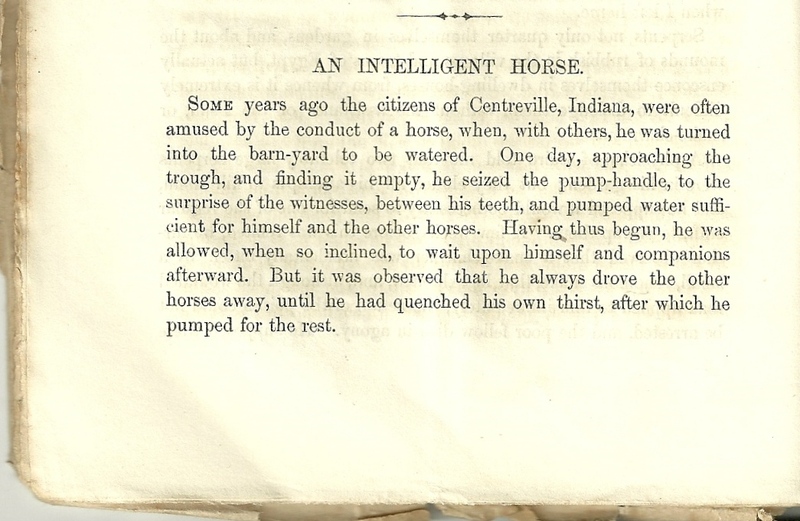 One day, approaching the trough, and finding it empty, he seized the pump-handle, to the surprise of witnesses, between his teeth and pumped water sufficient for himself and the other horses. Having thus begun, he was allowed, when so inclined, to wait upon himself and companions afterward. But it was observed that he always drove the other horses away, until he had quenched his own thirst, after which he pumped for the rest. Sadly, there's no accompanying illustration.